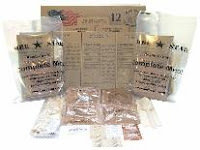 There ARE times when digging in is not an option and having ready bug-out bags proves to be wise. The source here is "The Guardian," so factor that into your figuring. But DO read the article in its entirety (click on the title below) for a stark wake-up call. This week, an article in the Journal of the American Medical Association revealed that deaths tied to drug-resistant staph infections in the U.S. may already exceed the number of AIDS deaths. Obviously, this is a serious situation. Do not think that you are not vulnerable. I speak with the experience of having had such a staph infection in my leg a couple of years ago. What started as a normal pimple, quickly became a swollen, extremely painful infection that required more than one emergency room visit and months worth of treatment before we beat it. It was the worst pain I've ever experienced and certainly there were some scary moments after I realized the risks. Personal hygiene and cleanliness in your environment is your only course of prevention, and even then, there is no certainty that you will evade infection. Nonetheless, I recommend you take the cleanliness approach in your life seriously--especially paying attention to surfaces that are shared by individuals. One of many particularly dangerous sources of infection is in your pocket or purse right now--your cell phone (even if you never share it with someone else). Clean it with antimicrobial wipes regularly. CHICAGO (AP) — More than 90,000 Americans get potentially deadly infections each year from a drug-resistant staph "superbug," the government reported Tuesday in its first overall estimate of invasive disease caused by the germ. Deaths tied to these infections may exceed those caused by AIDS, said one public health expert commenting on the new study. The report shows just how far one form of the staph germ has spread beyond its traditional hospital setting. The overall incidence rate was about 32 invasive infections per 100,000 people. That's an "astounding" figure, said an editorial in Wednesday's Journal of the American Medical Association, which published the study. [snip] Click the headline to read the entire article. 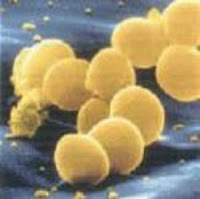 MORE INFORMATION: Read the Journal of the American Medical Association study Most drug-resistant staph cases are mild skin infections. But this study focused on invasive infections — those that enter the bloodstream or destroy flesh and can turn deadly. Labels: Biological preparedness, Cultural realities, How to be ready, Pandemic preparedness, Why prepare? Yesterday, President Bush drew worldwide attention for stating the obvious ... that if Iran acquires nuclear weapons, it would lead to World War III. His comment was not adequately expressed, but the logical assumption is that he was talking about the probability that Iran would actually use or allow the use of its nukes against Israel and/or U.S. interests, leading to retaliatory strikes and subsequently escalating warfare that would draw in countries from around the world. President Ahmedinejad of Iran has indicated several times that Israel is due for annihilation. Israel and the United States are determined to guard against that. Today, even the Democratic front runners in the U.S. presidential race are saying that the preemptive military option versus Iran's nuclear development capabilities is NOT off the table. Quite simply, in the U.S. there is little give on this issue. France, U.K., Japan, and Australia are key allies who join America in that stance. Germany is also likely to stand firm with the others against the Iranian mullahcracy from obtaining the ultimate weapons of mass destruction. With strong commitment on this by the world's free nations, there would likely be a peaceful ultimate solution arrived at via strong negotiation and trade pressures. However, Iran has supporters who are increasingly digging in their heels. Russia, China, Venezuela, North Korea, and Syria and the main nation-states supporting Iran to some degree in this matter. Each nation has its own vested interests in a controversy such as this. It is never so easy as a simple decision to support or not support. Clearly, there are political/diplomatic/military alignments that are becoming more and more entrenched out there. In fact, perhaps a more telling motivation for some is an anti-U.S. angle to all of this. Interestingly, this week alone has proven to magnify tensions a bit on all fronts. Russian President Putin is intensely feeling his oats after meeting with and pressuring at least some of the Caspian Sea nation leaders and declaring that those nations will not be allowed to be used to stage attacks on Iran, as the U.S. has reportedly been planning should that need arise. Further, he clinched a deal that prevents the development of a Trans-Caspian gas pipeline that had been advocated by the U.S., effectively bypassing Russian control over energy concerns in that region. Turkey is preparing to militarily venture into Iraqi territory to deal with a Kurdish population there that they are feeling threatened by. Needless to say, this is not a development sanctioned or smiled upon by the U.S. or the Iraqi government. The return of former Pakistani Prime Minister Bhutto out of exile to a catastrophic welcome-home bombing by her Muslim opponents is a grim reminder of the vulnerability of Pakistan's nuclear arsenal to a regime change brought about by extremists there who may not be in the minority. Lest we forget, India watches events in Pakistan with their own nuclear triggers at the ready. Finally, when something so benign as the U.S. recognition this week of the Tibetan Dalai Lama causes China to issue a warning that the honor "gravely undermined" relations between China and the U.S., well, I think we could say that the last few days has not been the friendliest of times in international circles. We're not there yet where events would be expected to explode soon into a new widespread conflict. But this week would appear to be a period in which the screws have been tightened a half-turn across the board. Today at a White House press conference, President Bush stated that he had warned world leaders that Iran must be blocked from acquiring nuclear weapons, "if you're interested in avoiding World War III." See the AFP news brief. Labels: Political realities, War, Why prepare? Disasters as "IPOs" and "Emerging Markets"
ARROYO GRANDE, Calif. (MarketWatch) -- Hot tip: Invest in "Disaster Capitalism." This new investment sector is the core of the emerging "new economy" that generates profits by feeding off other peoples' misery: Wars, terror attacks, natural catastrophes, poverty, trade sanctions, market crashes and all kinds of economic, financial and political disasters. Know Why H5N1 is Not in the Western Hemisphere Yet? Avian flu is often carried by waterfowl and migratory birds (hence the name), but most strains of the flu don't actually get the birds sick. Not true with H5N1 though. The H5 strain is highly pathogenic and thus birds with the virus die before making it from the eastern hemisphere. The H5 strain has not reached North America, South America, or Australia to date. It COULD happen by smuggling. New "National Strategy for Homeland Security"
Yesterday, the White House released the new National (not Federal) Strategy for Homeland Security. To see the full document (62 printed pages), click here. Our entire Nation shares common responsibilities in homeland security. In order to help prepare the Nation to carry out these responsibilities, we will continue to foster a Culture of Preparedness that permeates all levels of our society – from individual citizens, businesses, and non-profit organizations to Federal, State, local, and Tribal government officials and authorities. This Culture rests on four principles. The first principle of our Culture of Preparedness is a shared acknowledgement that creating a prepared Nation will be an enduring challenge. As individual citizens we must guard against complacency, and as a society we must balance the sense of optimism that is fundamental to the American character with a sober recognition that future catastrophes will occur. The certainty of future calamities should inform and motivate our preparedness, and we will continue to emphasize the responsibility of the entire Nation to be flexible and ready to cope with a broad range of challenges. The second principle is the importance of individual and collective initiative to counter fundamental biases toward reactive responses and approaches. Our Culture, therefore, must encourage and reward innovation and new ways of thinking as well as better align authority and responsibility so that those who are responsible for a mission or task have the authority to act. The third principle is that individual citizens, communities, the private sector, and non-profit organizations each perform a central role in homeland security. Citizen and community preparedness are among the most effective means of securing the Homeland, and leadership must continue at all levels to promote and strengthen their preparedness, including through public dialogue and specialized programs such as the "Ready" campaign, the Nation's public service initiative for individual and corporate preparedness (see ready.gov for more information). All Americans must share in the full range of homeland security activities, including prevention and protection, but it is particularly important that we all take responsibility for increasing the likelihood that we can survive an incident and care for our own basic needs in the immediate aftermath. As more Americans contribute to homeland security through self-reliance and mutual assistance, we reduce the burden on our emergency responders so they can focus on those most in need. We also will continue to encourage the preparedness of other homeland security stakeholders, including private sector and non-profit groups such as non-governmental organizations and faith-based groups and, whenever appropriate, incorporate them as full partners into our national preparedness efforts across all homeland security disciplines. The private sector is particularly important in this endeavor. As highlighted throughout this Strategy, the private sector is the Nation's primary provider of goods and services and the owner and operator of approximately 85 percent of our critical infrastructure. It is an essential partner in ensuring structural and operational resilience that protects the American people, establishing supply chain security to help deny terrorist weapons and material entry into the Homeland, and reporting suspicious activities at work sites that could uncover and ultimately help disrupt terrorist activity. The private sector also is a critical partner in rebuilding communities devastated or severely affected by a catastrophic incident as well as in fielding scientific and technological advancements that can help secure the Homeland. Due to the multiple and essential roles the private sector plays across all areas of homeland security, continued collaboration and engagement with the private sector to strengthen preparedness is imperative. The fourth principle of our Culture of Preparedness is the responsibility of each level of government in fostering a prepared Nation. Although Federal, State, local, and Tribal governments will have roles and responsibilities unique to each, our Culture must continue to embrace the notion of partnership among all levels of government. Built upon a foundation of partnerships, common goals, and shared responsibility, the creation of our Culture of Preparedness is an enduring touchstone for homeland security. This is the two-minute introduction to a 90-minute documentary produced a few months ago by the BBC. To watch the entire program click here. Jeff Nyquist regularly brings needed perspective to his readers. Linked here is another must-read column, included with but a brief excerpt to tantalize your perspicacity. ... Here lies the argument of the coming war. It is an argument that will be settled by the mass use of biological and nuclear weapons. For you cannot destroy a power as great as America, or eradicate its memory, without resorting to ultimate weapons. The reason that the Russians, Chinese, Iranians and others put such stock in nuclear weapons is obvious. These are the only weapons that promise to destroy the Americans. Therefore, history necessarily follows a logical path. Safecastle's New "Triple Threat Torpedo"
OK, I know--"Triple Threat Torpedo"--yep, dumb name, but just maybe it got your attention. And it does mean what it says. We're aiming to sink three big threats to your household "coming right out of the harbor." More specifically, in some potential crisis scenarios, you're going to be facing numerous challenges, such as securing your family's food supply, acquiring clean water, and dealing with environmental conditions that may include microbial threats to your health and well-being. 1. We're offering this bundle of products to especially celebrate the new HAZARiD decontamination kit that is now available at Safecastle Royal. It is available alone (at 20% off the list price to our club members, with FREE shipping) OR at even lower pricing as a part of this special three-part discounted bundle of product offerings. In short, the decontamination kit includes a powerful hospital-strength antiseptic supply and a fogger unit that allows you to quickly and easily decontaminate large areas or small. Thinking pandemic here? Yep, we are too, and that's why we're making this available. The HAZARiD package also includes a Tyvec suit, N95 respirators, nitrile gloves, and protective goggles. This is a decon capability not readily available to the public. We've arranged some very special member pricing , so if at all interested, please do take advantage now. 2. Food is always on our mind here at Safecastle ... it is so key to being prepared for a crisis. A stable, nutritious stockpile of long-term storage food is a must if you are preparing for disaster. If you are considering a pandemic in your range of potential threats, then you know you simply cannot have enough on hand to weather a worst-case onset of that type of scourge. So, the second element in this "torpedo" bundle is our unique "Project: Prepare, Advanced Package." It includes a case each of the renowned Yoder's Beef, Yoder's Chicken, Red Feather Cheese, and Red Feather Butter--all good on the shelf for 10+ years. 3. Water. Gotta' have it daily, and it's gotta' be pure. We're throwing in a Katadyn Exstream XR Purifier Bottle here. It'll get you through a tough spot if you need good water for a time. We'd be happy to replace or add to this package for you if you have your eyes on a different Katadyn filter in our store--and we'll give you comparable savings. Buy the Triple Threat Torpedo package to take advantage of the deepest discounts, or opt for your own separate selections from our store--all of it ships free all the time to the lower 48. Either way, be sure to use your 20% member discount code. Email us if you need it sent to you again. If you aren't a member yet, join up for a one-time, lifetime membership fee of $19 and you'll forever get at least 20% off everything in the Safecastle Royal Buyers Club store. Join here.